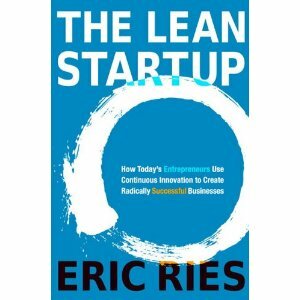 I finished reading The Lean Startup recently and found some profound insights on rapid product development with limited resources in unproven markets. I was impressed by the emphasis on the product and customer development, and not the organization that creates it. You could be a startup founder, employee number 10, or working for big business. It was also interesting to see how the scientific method and a scientific approach is being brought to the product startup scene. The Leap of faith assumptions are the value hypothesis and the growth hypothesis. These ideas give you your starting point to begin building your minimum viable product. The strategy is to create this product by iterating through a build-measure-learn feedback loop by expending as little development effort and general effort as possible. No feature creep, no nonessential features, period. Once your product is released, you measure quantitatively, how much traction it will likely gain in the market place through your current, new, and prospective customers. Once you have this feedback, you learn. These learning milestones are the focus, not project milestones or product milestones. The measure and learn steps, help focus the attention on actionable metrics. Without that focus, new startups tend to focus on vanity metrics and the illusion of growth, that can result from unsustainable marketing ploys that don’t bring value to the market place. Once you have these actionable metrics, you can decide to persevere or pivot from your original hypotheses. The author discussed analogs and antilogs to help establish some assumptions about the strengths and weaknesses of your product. Once you build your minimum viable product, you use innovation accounting (learning milestones), to decide where to take your product. The startup uses one or more engines of growth to achieve their maximum product / market fit. The three engines covered were the sticky, the viral, and the paid engines of growth. The sticky engine places emphasis on high customer retention, so that a slow new customer acquisition rate, still yields a high compounded growth rate. The viral engine places emphasis on the viral coefficient, which basically just means for every new customer, they bring in more than one new customer. This yields a positive growth rate. The last engine, paid growth, deals with keeping the new customer acquistion costs cheaper than the customer lifetime value. If the customer acquisition is lower than customer lifetime value, you’re growing. I sincerely enjoyed this book and recommend it to managers, entrepreneurs, and developers who have a say in creating new software products in new markets.